When do words and actions empower? When do they betray? Based on ethnographic fieldwork, this volume tracks the repercussions of advocacy activism against house demolitions in 'unrecognised' Arab-Bedouin villages in Israel's southern 'internal frontier'. It highlights the repercussions of activism for victims, fund-raisers and activists. The ethnographic episodes show how humanitarian aid intervention and indigenous identity politics can turn into a double-edged sword. Ironically, institutional lobbying for coexistence and its interpretative categories can sometimes perpetuate different forms of subjugation. The volume also shows how, beyond the institutional lobbying, novel figures of activism emerge: informal networks create non-sectarian, cross-cutting countercultures and rethink human-environment relationships. These experimental political subjects redefine the categories of the conflict and elude the logic of zero-sum games; they point towards a shifting paradigm in current ethnopolitics. Koensler outlines an ethnographic approach for the study of social movements that follows multiple relations around mobilisations rather than studying activism in itself. 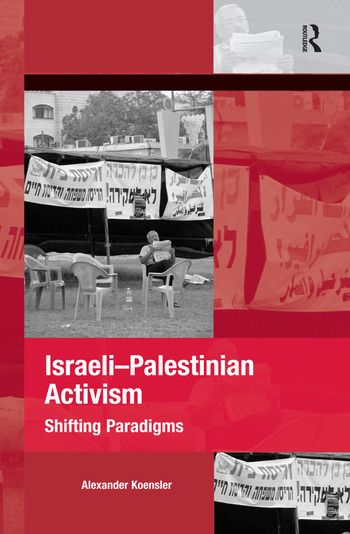 This perspective thus becomes relevant for scholars and activists engaged with the Israeli-Palestinian conflict and those interested in global rights discourses. Alexander Koensler is Research Fellow at the Institute for the Study of Conflict Transformation and Social Justice, Queen's University Belfast, UK.